Have fun this weekend with New York State's Maple Weekend. Producers across New York are hosting fun family events with wagon rides, tours, and sampling. Below is a listing of Adirondack (and beyond) producers. Activities: Free horsedrawn wagon rides to the sugarbush to see the tapping. Syrup,maple lollipops, maple cotton, maple cream and homemade donuts for sale. Don't miss a taste of ice cream with fresh maple syrup! Enter our drawing for a free gift basket of maple products. 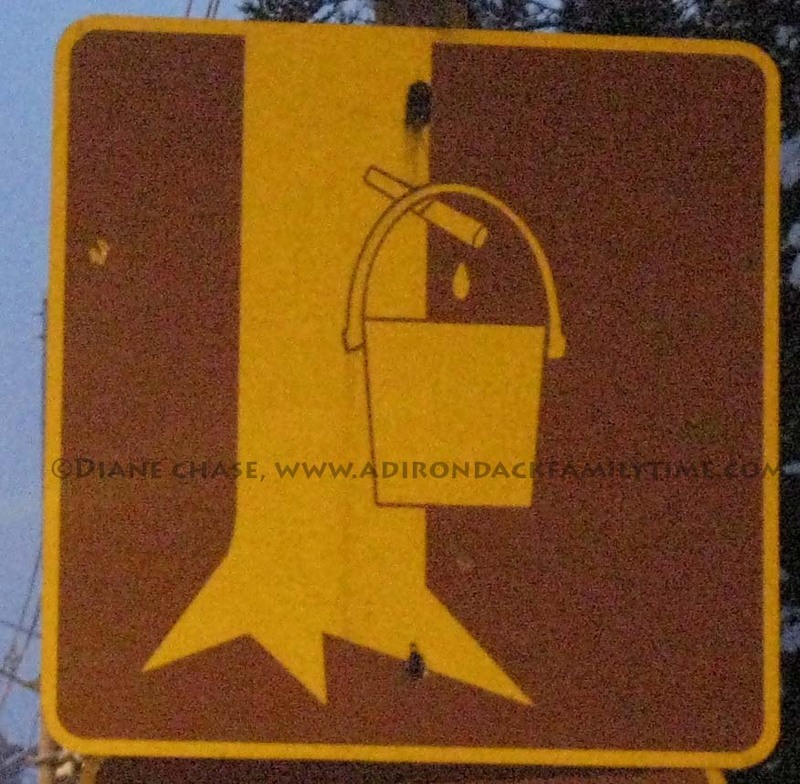 Tour the entire production process from tapping, gathering, & evaporating the sap. Activities: On March 17th it's All Maple Day sll day with maple stories, crafts, and tastings at The Wild Center. The Adirondack Museum will share some of the local stories of maple through historical objects and pictures from the past. Take a maple tourwith experienced naturalists at 11:30 am and 1:30 pm as they tell the story of maple sugaring through the stages of tapping, processing, and finally getting to the sweet part, maple sugar. Take a closer look at an operational evaporator, catch some running sap and drill a tap and explore the local maple sugaring story. Open March 17, 18, 24, 25 for tastings and tour of the evaporator. Activities: Tours of the sugarbush. Weather permitting. Directions: from intersection of US 11 and St Rt 374 in Chateaugay, go west to County Route 23 (left turn). 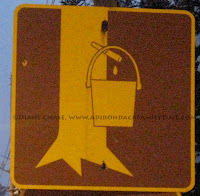 Follow 23 to Selkirk Road, then look for and follow signs for Wood's Sugar Bush. Activities: Tours of the Sugar House showing how maple products are made. Drinks will be served and there will be plenty of taste testing. Directions: From Plattsburgh, I-87N, take exit 41, right onto Spellman Rd, left onto Route 9. In about 2.5 miles turn left onto Stratton Hill Rd, first left onto Sanger Lane. From Champlain, US 9-S about 13.4 miles, right on Stratton Hill Rd, left onto Sanger Lane. Activities: Family owned and operated Maple Farm located in the Northern-most region of New York. 8000 tapped maple trees annually for this commercial producer. If you love maple syrup, stop by! Activities: Free tours of the sugarhouse showing how maple products are made. Free samples of Brow's delicious products will be available! Directions: From West Chazy go north on Rt 22 about 2 miles, left turn on Sugar Bush Drive. From Sciota go south on Rt 22 about 4 miles, turn right on Sugar Bush Drive. Look for our signs on Sugar Bush Drive. Activities: Pancake breakfast will be all 4 days,sponsored by the Northern Tier snow-runners. Horsedrawn wagon rides are all 4 days. Small petting zoo. Gift shop will be open, cotton candy, complimentary maple coffee. Maple syrup & other maple product demonstrations. Activities: Sugarhouse tours and samples of warm maple syrup. Samples of Kristy's famous maple candies and delicious maple cream. Learn about the process of maple syrup production from tree to table. A 450-tap operation onvacuum-assisted sap lines with a wood-fired evaporator. Open both weekends, look for the billowing steam directly on Route 9M in the heart of Keene - home of the High Peaks! Activities: Visitors will have a guided tour of the entire syrup production process, beginning in the sugarbush where the sap is collected and ending in the sugarhouse where people can see, smell, and taste fresh maple syrup being made. Visitors will also learn about ongoing research projects and a variety of maple products will be available for sale in the gift shop. Directions: From Lake Placid take Rt 73 (Cascade Rd) east for 1.5 miles. Turn right at the Horseshow grounds onto Old Military Road. Continue for .7 miles; turn left at the sign for Uihlein Sugar Maple Field Station onto Bear Cub Rd. Proceed .8 miles to sugarhouse. Activities: WJohn McComb's for boiling sap into syrup (weather permitting) and demonstrating tree tapping. Directions: From the intersection of Routes 8 and 30 in the village of Speculator, travel 1.5 miles east on Elm Lake Road. Activities: Join Gold Maple Farm as they tap trees and boil sap to make maple syrup. Directions: I-87 exit 23. Turn right on Rt 9 North, go .8 mi. Left on Route 418 West. Cross the bridge, keep right, go 3.8 miles to Athol Rd. Turn right, go 3.5 mi. Turn right on Mountain Rd. Go abou .7 miles to Bear Pnd Rd. Activities: The Galusha family has produced pure Adirondack maple products at Toad Hill Maple Farm for more than 40 years. In 2011 they opened their large new timberframe sugarhouse including a new energy efficient process for producing pure maple syrup including awood fired evaporator, a reverse osmosis machine and large stainless steel tanks. Toad Hill is the largest maple producer in Warren County, gathering sap from more than 3,700 sugar maple trees. Visit us for a tour and see our new maple kitchen where wepackage syrup and make maple cream, candy and sugar. Enjoy samples and browse our products in our gift shop. Directions: Rt 418 west from Warrensburg to Athol Road. Follow the signs to Toad Hill Maple Farm. We are about 7 miles from Warrensburg. Activities: Pancake breakfasts all 4 days. Directions: from Warrensburg take route 418 to Athol Road, follow our signs to Valley Road Maple Farm.